Who is it? Well we are ... obviously! But it's not that simple in reality. The actual question is "Who is the best SEO company for you?" Someone once asked on a forum how to choose a company and one of the replies was to ask the provider "How many fortune 500 companies have they worked for?" Well OK, if you are a large corporation that is a fair question but if your business is of more moderate size then your budget is not going to extend to hiring such specialists anyway. If you own a Sushi bar in middle England you do not need the same scale of search engine optimisation as Ford Cars or HP Digital. The best test is "How many companies like mine have you carried out successful SEO work for?" and ask for examples. Many website owners loose sight of what traffic actually is. They are dazzled by the idea of more visitors but you actually want the right visitors who will buy your products, subscribe to your blog, become a facebook fan or whatever else the objective of your website is. If you opened a shop on London's Oxford Street selling buckets and spades for the beach expect a great deal of traffic. But don't expect to sell much, it's the wrong traffic. Too much of the wrong traffic can actually be damaging for your website. Your bounce rate and 'average user time on site' will both suffer badly and these are factors search engines take into account when ranking pages. So ignore any SEO company that focuses on 'more traffic' as its promise. We can increase your traffic by whatever percentage you require and we can do it tomorrow by programming computers to visit your website. Your visitor numbers will go up but your business won't. The best SEO company for traffic is the one that brings you more of the right visitors by making sure your website ranks highly in search engine results for the keywords that are relevant to your site. Sadly the world is full of shady characters. We could claim that we carried out all the optimisation for the BBC but it would be a complete lie. Many people are far more brazen and fill their portfolio with websites, and even quotes full of praise, for work they have never actually carried out. If you are about to make an investment in your business, it's best to double check with the "satisfied clients" first. Alternatively ask them for some way to prove their work. 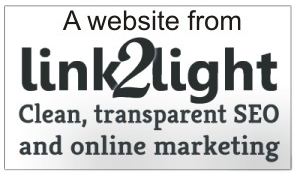 From our side we often leave a comment string within the code (with the client's permission) so when you right hand click on a page and choose 'View Source' you will see something like: <!-- SEO by How to SEO | link2light.com --> within the HTML text. The best SEO company or a middleman? Some SEO companies are no more than a man with a laptop and a mobile phone. He takes the business and then subcontracts it out, often abroad. Now there is actually nothing wrong with this because he deserves his slice if he has found a good quality, cheap foreign contractor. You who knows what you want. The provider who knows how to deliver it. Someone in between you who hasn't got a clue. For this reason it's best to familiarise yourself with some of the terms related to SEO so you can quickly size up who you are talking to. Ask a simple question such as "Explain the Google Dance?" and listen to their response (without a pause while they look it up on the internet!). A white hat or a black hat SEO company? There are many ways to fool the search engines (temporarily) and shoot your website into the first page of the search results. But fooling is soon spotted and your website is then penalised or permenantly banned for using 'Black Hat Techniques'. One common trick of a SEO company is to use Black Hat, show you your site in the top 10 search results, get the bill paid and run. A few days later your site is thrown out of the searches altogether but the company that did the work says, "Hey, must have been something you did after we had finished...". To know that White Hat techniques are being used they should be able to show you a fair selection of sites that are performing well, and consistantly. All the terms and jargon for Search Engine Optimisation are on this site so if someone starts talking to you in what sounds like a foreign language come back here first and check what they are on about. But in all cases the concepts of optimisation are fairly simple to explain even if they are complex to implement which means someone who is trying to confuse you may also be trying to fleece you. Imagine you were going out to buy a car. You could walk into any showroom and someone will try and sell you a vehicle but if they don't know what you want, and you don't know what you want, things are not going to work out! You can't simply say "please SEO my site" and it will all work out in the same way as you can't say "please give me a car" and expect to see your dream motor rolled out. So to work out what optimisation you need there are two best routes which can be followed in an either/or way: learn a little SEO or write your objectives down clearly. On our page how to seo your website there is a full list of what SEO involves and you may not want all of it. If you know something about web coding which you need and which you don't will be fairly clear to you. If you don't know much about web coding then deciding what you actually want as an end goal is equally valuable. "I want my site SEOed" is not going to work! "I want to be in Google's top 10 for the phrase Solicitor in Mytown" will. Think up about ten of these so the provider can go away, analyse the competition and give you an idea of results and costs. By results we mean they should be able to tell you how often that term is searched every month and so if the keyword and phrase is worth pursuing. By costs we are referring to how much competition exists and so how much work (time and cost) will be involved to get you there. If you want to verify what they say there is a Keyword Tool within Google Ads that will tell you the popularity of a search term and give you an indicator of how difficult it will be to move a new website or page into the search results. Be aware the Google Keyword Tool is an estimator and the figures are very approximate. If you are already using a sitemap.xml along with Google Webmaster Tools then you will also know where you currently stand and therefore which quotes would seem excessive. Decide on the keywords and phrases that you are going to pursue. Move your site out of being penalised (see the how to seo your website pages). Create and register your sitemap.xml and give it a few weeks or days (if you have a high level of traffic less time is needed) to settle in. 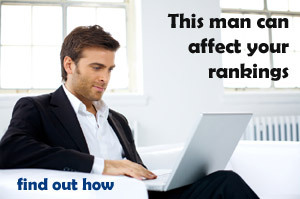 Have the website traffic analysed to see how people are finding your site. Start your search engine promotion (as we call it on the how to seo your website pages) to change or reinforce what is going on.